Antonia Cheung has already kindly sent information and images which appear in two articles. The first was about her father, Chang Don Chien 張敦潛, chief engineer South China Iron Works, 1948-1968. And the second about the company, The Story of the South China Iron Works as told by Chang Don Chien 張敦潛. Both are linked below. Here Antonia provides a list of the names of some of the staff who worked at SCIW during the 1950s and ’60s with their positions held. 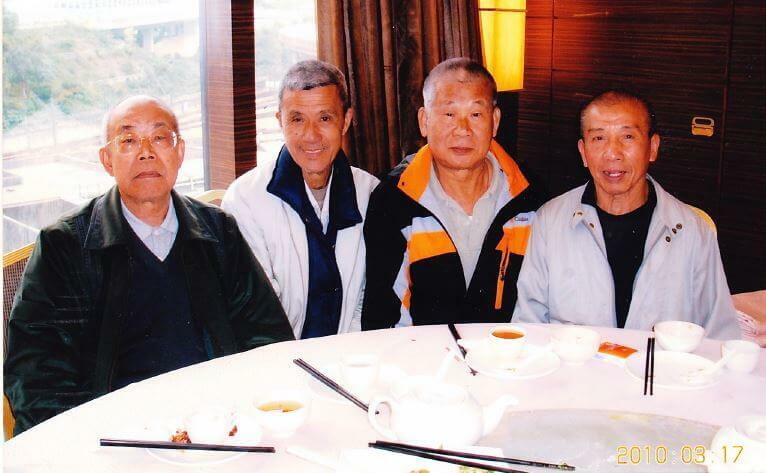 There are also fairly recent photos of a few of the staff in retirement. 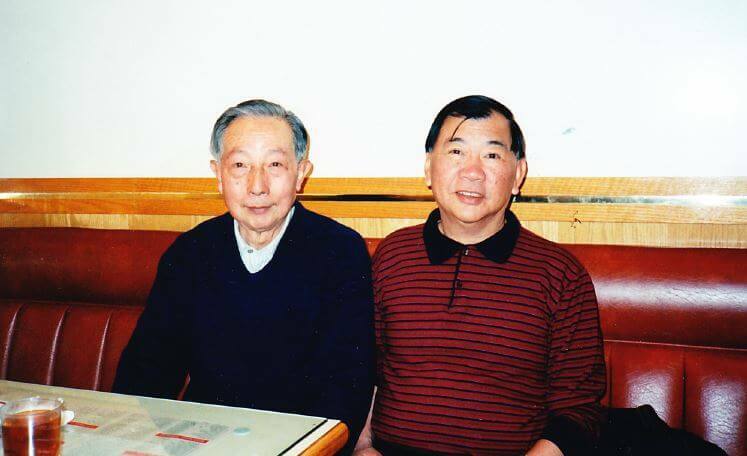 C1 Mr. Chang with former SCIW colleaques: Mr. Fong 方東成, and another engineer. 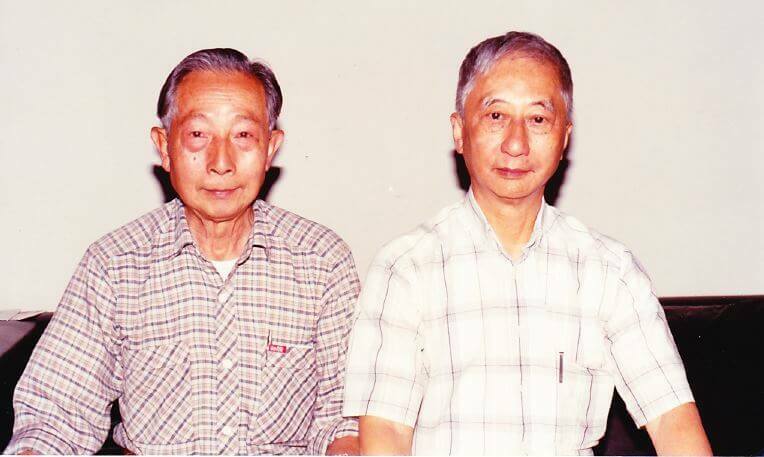 1989 in CA, U.S.A.
C2 Master Koo顧鍚金師傅, chief carpenter of SCIW. 1989. He became a painter after retirement. The Chinese painting in the background was his own creation. 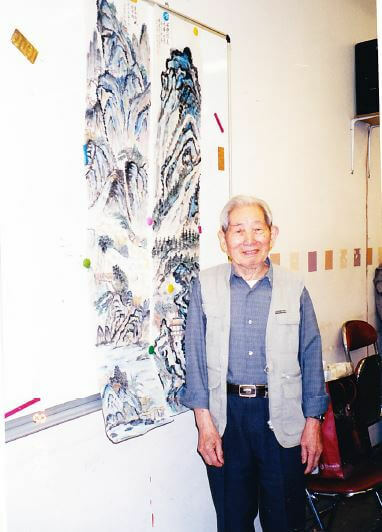 Master Koo died in 2014. C3 Mr. Chang with former SCIW colleaques: Mr. Fong (Sales). 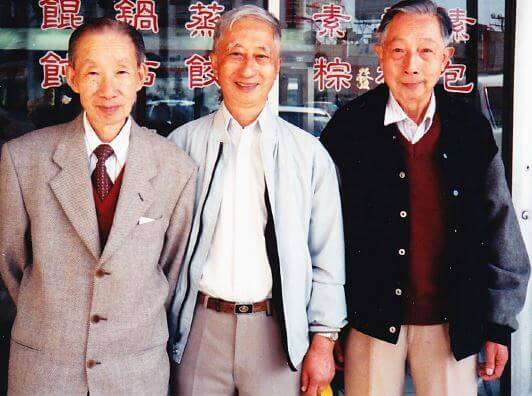 1994 in CA, U.S.A.
C4 Four of the apprentices of SCIW: left to right- Harry Chao 趙振漢 (draftsman apprentice), Chang Ching 張澄, Lee Hawk Pan 李學鵬, Cheung Mei Shing 張綿勝 (all three were factory apprentices). 2010 in Kowloon. This article was first posted on 30th January 2017. His full name is Hsin Ping Wu (吳新炳). 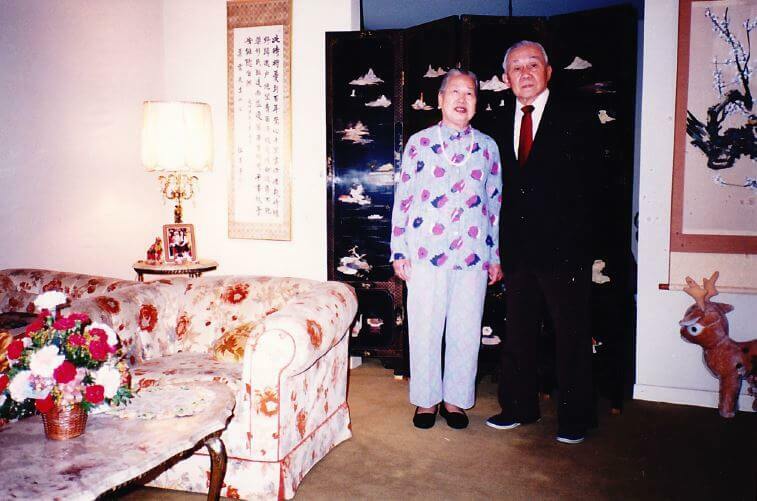 Born in 1894 and native of Kiangyin in Kiangsu province, he went to Tsinghua and studied in the US as a Boxer Indemnity Scholar, receiving his BS in electrical engineering from Cornell in 1921 and received training at General Electric in the US. From 1927 to 1937, he was the chief engineer of the electrical works at Tsishuyan(戚墅堰) in his native Kiangsu province before getting involved with China Motors and South China Iron Works. He died in HK in 1965.